Bud Slater lives with his grandfather in a little one-room house on the edge of a river. It's a fun place to live, but Bud would sure love to have a dog--and there's no room for a dog in the little house. 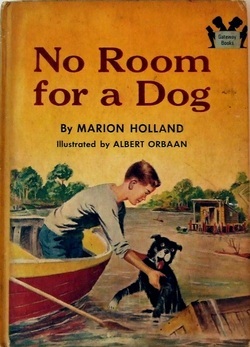 NO ROOM FOR A DOG is represented by McINTOSH AND OTIS, INC.